So now that you have an app ready and published, what comes next? Sit back and watch the money roll in? Ideally, to save time and money, you’ll want to first publish the simplest version of your app idea. Get it out there quickly so you can get feedback from your users. Do they like the product? Are there additional features they would like, that they would be willing to pay more for? So how do you get this feedback? There are multiple ways. 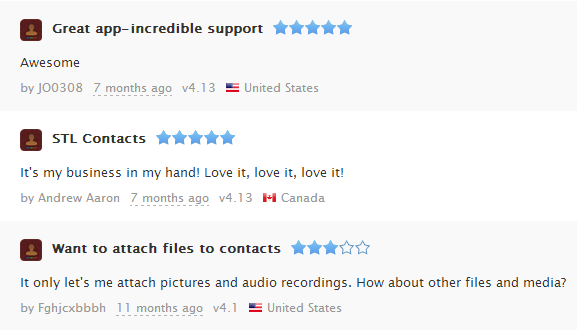 User Ratings and Reviews. Take a look at the app store to see what kinds of ratings and reviews your app is getting. 3rd party products are available to make this process easier. If your app is getting consistent 5 star ratings and wonderful reviews, then maybe you’re done, and can look at marketing your app further, or other platforms to expand onto. If your app is getting lower ratings, then you still have work to do. Analyze what kinds of problems and suggestions your users are giving, and decide whether it’s worth releasing an update to solve them. Run Promotions. If you’re not getting enough ratings or reviews to determine if you’re on the right track, you can try lowering the price or even make it free, to increase the number of downloads you get. More downloads should lead to more ratings and reviews. Bug Reports. If you use a 3rd party service to report bugs, then take a look and see if your app is crashing on user devices. Try and fix these bugs and issue a new update as soon as you can, to avoid low ratings. User Emails. Add a contact us button to your app, to make it easy for users to send feedback to you. If a user takes the time to send you an email (even if it’s a negative one), that means they care enough about your app to take the time to provide you with this feedback. Not getting any feedback from your users may be a sign that your app isn’t good enough to warrant such effort. If you do have issues with your app that users are emailing you about, make sure you follow up with them to get the problems fixed. Once an update has been released to address the issue, email them to let them know. Find out if the new update indeed solves the issue or not. Also use this opportunity to ask about any other suggestions they may have to improve your app. Some of the biggest fans of my products have come from users who initially emailed me with problems. One problem with feedback is that most of it tends to be negative. Users are more likely to leave a negative comment or review for features that don’t work as advertised, than to leave a positive comment or review for your app doing what it promised to do. So how do you overcome this? One solution that many apps do, is to generate an automatic popup after a user has used the app a minimum number of times (eg. on their 10th time). 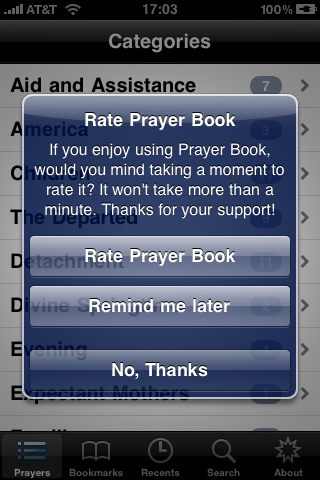 The popup asks the user what they think of the app, and encourages them to leave a review. Why does this popup show on the 10th time, and not on the 1st time? The idea here is that if a user is using your app for the 10th time, that suggests that they like and enjoy using your app. So the review or rating they give at that point is more likely to be favorable. If they didn’t like your app, then they would have quit using it a long time ago. This is a solid tutorial on some basic steps to connect with your customer base, nice job. I love the calling out of your ability to turn problems into solutions – too many people view problems as a bad thing, but when a customer is reaching out to share their negative experience it really is an important opportunity to win them over. Customers who have their issues resolved to their satisfaction are actually 70% more likely to return as customers, so there’s a huge amount of business value derived from solving problems. Thanks for sharing some super helpful advice and experience! Thanks Robi. The feedback process is definitely not as smooth as it could be / should be. For example, even the popups that show up now in some apps, that ask for a review only link the user to the app’s app store page. It is then up to them to find the ratings section and click on that to get to the “leave a review” page. It would be nice if they could leave the rating or review from directly within the app to save all the additional steps, but I don’t see that happening anytime soon.